تکدستان, افشین, اسلامی, آزاده, مهردادی, ناصر. (1394). اثر احداث تانک ذخیره‌سازی در سیستم متعارف لجن فعال بر کیفیت پساب خروجی و قابلیت ته‌نشینی لجن. مجله آب و فاضلاب, 26(6), 84-91. افشین تکدستان; آزاده اسلامی; ناصر مهردادی. "اثر احداث تانک ذخیره‌سازی در سیستم متعارف لجن فعال بر کیفیت پساب خروجی و قابلیت ته‌نشینی لجن". مجله آب و فاضلاب, 26, 6, 1394, 84-91. تکدستان, افشین, اسلامی, آزاده, مهردادی, ناصر. (1394). 'اثر احداث تانک ذخیره‌سازی در سیستم متعارف لجن فعال بر کیفیت پساب خروجی و قابلیت ته‌نشینی لجن', مجله آب و فاضلاب, 26(6), pp. 84-91. تکدستان, افشین, اسلامی, آزاده, مهردادی, ناصر. اثر احداث تانک ذخیره‌سازی در سیستم متعارف لجن فعال بر کیفیت پساب خروجی و قابلیت ته‌نشینی لجن. مجله آب و فاضلاب, 1394; 26(6): 84-91. تصفیه و دفع لجن مازاد یک چالش بزرگ در تصفیه‌خانه‌های فاضلاب است. در این تحقیق کاهش حجم لجن در راکتور ناپیوسته متوالی در مقیاس پایلوت بررسی شد. دو راکتور ناپیوسته متوالی در مدت زمان ۱۲ ماه بهره‌برداری شد و پارامترهایی از قبیل COD، MLSS، pH، DO، SVI، SOUR، ORP در طول مدت بهره‌برداری راکتور مورد آزمایش قرار گرفت. نتایج نشان داد که در بین زمان‌های ماند سلولی مختلف (۵، ۱۰، ۱۵، ۲۰ ۲۵ روز) در زمان ماند ۱۰ روز بهترین راندمان حذف COD (۹۵ درصد) بدون مشکلات بالکینگ و همچنین تولید کف ایجاد شد. به‌منظور بررسی اثر متابولیسم جفت نشده فاز آنوکسیک و بی‌هوازی لجن بر کاهش تولید بیومس، لجن فاضلاب برای مدت ۱ تا ۴ ساعت قبل از فاز واکنش در راکتور با پتانسیل اکسیداسیون و احیای مختلف نگهداری شد. نگهداری لجن بعد از مدت چهار ساعت با پتانسیل اکسیداسیون و احیای 238- میلی‌ولت میزان COD را از ۶۰۰ به ۳۳ میلی‌گرم در لیتر کاهش داد و غلظت MLSS به‌طور جزئی از ۱۳۵۰ به ۱۵۰۰ میلی‌گرم در لیتر افزایش یافت. با استفاده از این مکانیسم، COD پساب خروجی پایین‌تر از استاندارد محیط‌ زیست از نظر دفع پساب به آب‌های پذیرنده و استفاده مجدد در کشاورزی است. از طرفی در پتانسیل اکسیداسیون و احیای برابر 238- میلی‌ولت، میزان SOUR به mgO2/h.gVSS ۲۲ و میزانSVI به کمتراز ۴۰میلی‌لیتر بر گرم رسید. Excess sludge treatment and disposal is a major challenge for wastewater treatment plants worldwide. In this study, sludge reduction was evaluated using pilot scale sequencing batch reactors (SBRs). Two SBRs were operated alongside each other over a period of 12 months during which time measurements were performed to determine COD, MLSS, MLVSS, pH, DO, SV1, SOUR, and ORP. The results showed that among the different SRT durations (5, 10, 15, 20, 25 days), the 10-day sludge retention time yielded maximum COD removal efficiency (90%) without any bulking or foaming problems. Prior to any reactions taking place in the reactor, the sludge was exposed to various oxidation reduction potentials for 1 to 8 hours in order to determine the effects of uncoupling metabolism on biomass production under different anoxic and anaerobic conditions. COD was observed to decrease from 600 to 33 mg/l while MLSS increased from 1350 to 1500 mg/l over a retention time of 7 hours and for an ORP value of -238 mv. The effluent COD obtained as a result of operating this process was below the limits set by environmental regulations for surface waters and reuse in agriculture. For an ORP value of -238mv, SOUR and SVI were measured to be 22 mgO2/h.gVSS and 40 ml/g, respectively. 1. Chon, D.H., Rome, M.C., Kim, Y.M., Park, K.Y., and Park, C. (2011). “Investigation of the sludge reduction mechanism in the anaerobic side-stream reactor process using several control biological wastewater treatment processes.” Water Research, 45, 6021-6029. 2. Takdastan, A., Mehrdadi, N., Azimi, A.A., Torabian, A., and Nabi Bidhendi, G. (2009). “Intermittent chlorination system in biological excess sludge reduction by sequencing batch reactor.” Iranian Journal of Environmental Health Science Engineering, 6(1), 53-60. 3. 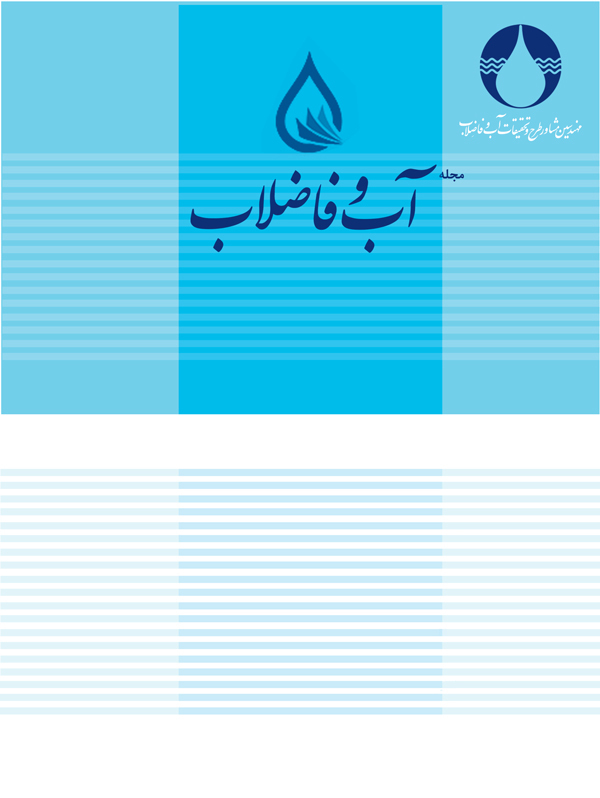 Takdastan, A., Azimi, A., Jaafarzadeh, N. (2010). “Biological excess sludge reduction in municipal wastewater treatment by chlorine.” Asian Journal of Chemistry, 22,1665-1670. 4. Guowei, C., Pengge1, X., Deqian1, X., and Hanqing Y. (2007). “Comparison between inhibitor and uncoupler for minimizing excess sludge production of an activated sludge process.” Frontiers of Environmental Science and Engineering in China, 1(1), 63-66. 5. Perez-Elvira, S.I., Diez, P.N., and Polanco, F.F. (2006). “Sludge minimization technologies.” Reviews in Environmental Science and Bio/Technology, 5, 375-398. 6. Tokumura, M., Sekine, M., Yoshinari, M., Znad, H.T., and Kawase Y., (2007). “Photo-fenton process for excess sludge disintegration.” Process Biochem., 42, 627-633. 7. Xie, W.M., Ni, B.J., Sheng, G.P., Yu, H.Q., and Yang, M. (2010). “Substrate consumption and excess sludge reduction of activated sludge in the presence of uncouplers: A modeling approach.” Applied Microbiology and Biotechnology, 85, 2001-2008. 8. Takdastan, A., Azimi, A., and Torabian, A. (2009). Intermittent ozonation to reduce excess biological sludge in SBR.” J. Water and Wastewater, 20-3 (73), 41-49. 9. Takdastan, A., and Pazoki, M. (2011). “Study of biological excess sludge reduction in sequencing batch reactor by heating the reactor.” Asian Journal of Chemistry, 23, 29-34. 10. Mahmoudi, P., Takdastan, A., Alavi, N., and Kayedi, N. (2013). “Study of excess sludge reduction in conventional activated sludge process by heating returned sludge.” Asian Journal of Chemistry, 25, 2627-2632. 11. Canales, A., Pareilleux, A., Rols, J. I., Goma, C., and Huyard, A. (1994). “Decreased sludge production strategy for domestic waste water treatment.” Wat. Sci. Tech., 30(8), 96-106. 12. Takdastan, A., and Eslami, A. (2013). “Application of energy spilling mechanism by para-nitrophenol in biological excess sludge reduction in batch-activated sludge reactor.” International Journal of Energy and Environmental Engineering, 4, 233-245. 13. Low, E.W., Chase, H.A., Milner, M.G., and Curtis, T.P. (2000). “Uncoupling of metabolism to reduce biomass production in the activated sludge process.” Water Res., 34, 3204-3212. 14. Koners, U., Toepfl, S., Heinz, V., Camacho, P., et al. (2004). “Application of pulsed electric field treatment for sludge reduction on waste water treatment plants.” In: 2nd European Pulsed Power Symposium (EPPS), International Society on Pulsed Power Applications, Shaker, Aachen, pp.47-52. 15. Hassani, A. H., Nejaei, A., and Torabian, A. (2011). “Excess sludge minimization in conventional activated sludge pilot plant by three chemical matters.” Int. J. Environ. Res., 5(4), 981-988. 16. Saby, S., Malik, D., and Guang-Hao, Ch. (2003). “Effect of low ORP in anoxic sludge zone on excess sludge production in oxic-settling-anoxic activated sludge process.” Water Research, 37 (1), 11-20. 17. Wang, J., Zhao, Q., Jin, W., and Lin, J. (2008). “Mechanism on minimization of excess sludge in oxic-settlinganaerobic (OSA) process.” Environ. Sci. Eng., 2(1), 36-43. 18. Khursheed, A., and Kazemi, A.A. (2011). “Retrospective of ecological approaches to excess sludge reduction.” Water Research, 45, 4287-4310. 19. Torregrossa, M., Di Bella, G., and Di Trapani, D. (2012). “Comparison between ozonation and OSA process: Analysis of excess sludge reduction and biomass activity in two different pilot plants.” Water Science and Technology, 66 (1), 185-192. 20. Abbassi, B., Dullstein, S, and Rabiger, N. (2000). “Minimization of excess sludge production by increase of oxygen concentration in activated sludge flocks: Experimental and theoretical apperoch.” Water Research, 34(1), 139-146. 21. Dytczaka, M. A., Londryb, K. L., Siegristc, H., and Oleszkiewicza, J. A. (2007). “Ozonation reduces sludge production and improves denitrification.” Water Research, 41, 543-550. 22. Chua, L., Yanb, S., Xingb, X.H., Sunc, X., and Jurcik, B. (2009). “Progress and perspectives of sludge ozonation as a powerful pretreatment method for minimization of excess sludge production A review.” Water Research, 43, 1811-1822. 23. Fazelipour, M., Takdastan, A., and Sekhavatjou, M. S. (2011). “Survey on chlorine application in sequencing batch reactor waste sludge in order to sludge minimization.” Asian Journal of Chemistry, 23(7), 2994-2998. 24. Hoon Yoon, S., Soo Kim, H., and Lee, S. (2004). “Incorporation of ultrasonic cell disintegration into a membrane bioreactor for zero sludge production.” Process Biochemistry, 39,1923-1929. 25. Lee, N. M., and Welander, T. (1996). “Use of protozoa and metazoa for decreasing sludge production in aerobic wastewater treatment.” Biotechnology Letters, 18 (4), 429-434. 26. Ramakrishna, D.M., and Viraraghavan, T. (2005). “Strategies for sludge minimization in activated sludge process-A review.” Fresenius Environmental Bulletin, 14(1), 2-12. 27. Tempest, D. W., and Niejssel, O. M. (1992). “Physiological and energetic aspects of bacterial metabolite overproduction.” FEMS Microbiol. lett., 100, 169-176. 28. Bitton, G. (2005). Wastewater microbiology, Wiley, NY. 29. Takdastan, A., Mehrdadi, N., Eslami, A. (2014). “Effect of various ORP on excess sludge reduction in oxic-settling-anaerobic batch-activated sludge.” International Journal of Microbiology and Immunology Research, 2, 041-047. 30. APHA. (1998). Standard methods for examination of water and wastewater, 15th Ed., American Public Health Association, USA. 32. Jin, W. B., Wang, J. F., Zhao, Q.L., and Lin, J.K. (2008). “Performance and mechanism of excess sludge reduction in an OSA (oxic-settling-anaerobic) process.” Europe Pub Med Centreal, 29 (3), 726-732. 33. Pazoki, M., Takdastan, A., and Jaafarzadeh, N. (2010) “Investigation of minimization of excess sludge production in sequencing batch reactor by heating some sludge.” Asian Journal of Chemistry, 22, 235-240. 34. Foladori, P., Gianni, A., and Giuliano, Z. (2010). Sludge reduction technologies in wastewater treatment plants, IWA Publishing, London, UK.